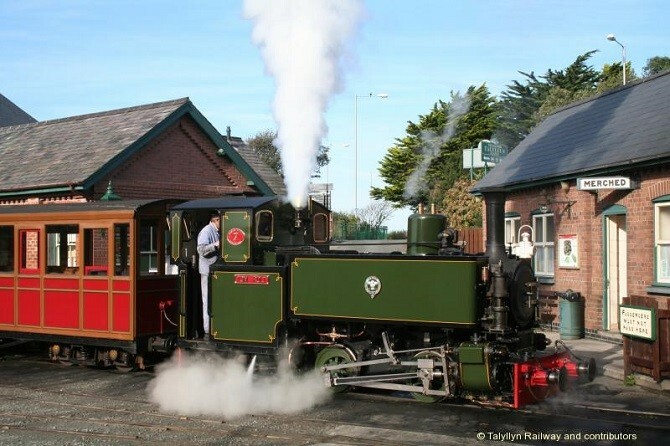 Built on a gauge of 2 feet 3 inches, the Talyllyn Railway is one of a number of narrow-gauge lines in north and mid Wales built in the 19th century to carry slate, in the Talyllyn’s case from the Bryn Eglwys quarries near Abergynolwyn. 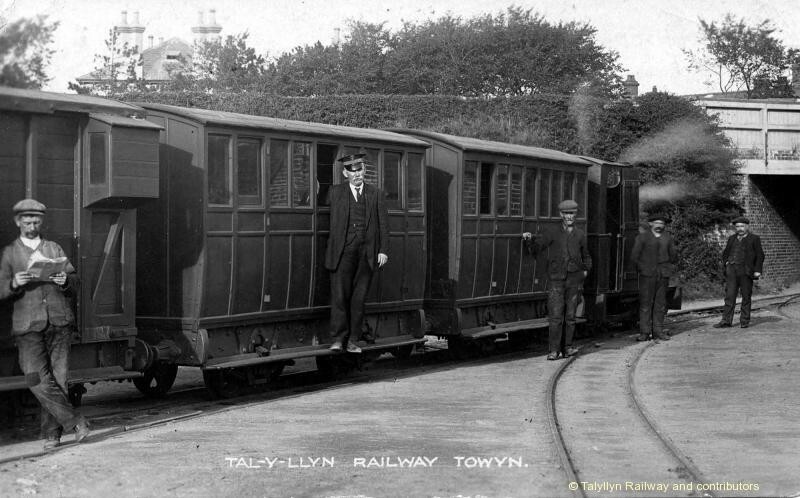 Opened in 1865, the line runs the seven and a quarter miles from Tywyn (on the Cardigan Bay coast) to Nant Gwernol, from where a series of horse-drawn tramways continued into the mountains. The slate traffic ceased in 1946 following a serious rock fall in the quarry. In 1950 the line’s owner Sir Henry Haydn Jones died, and the future for the TR looked very bleak, as it had been losing money for some years. A group of enthusiasts, led by the engineer and author L.T.C. 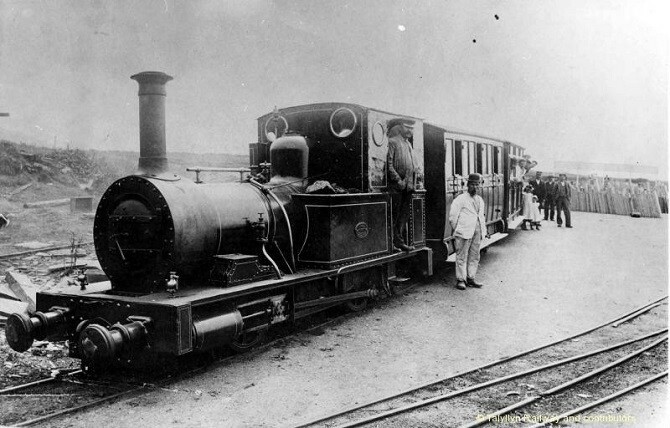 Rolt, sought to prevent the railway’s closure and scrapping and, thanks to the generosity of Lady Haydn Jones, the Talyllyn Railway Preservation Society (the first such organisation in the world – find out how to join) was allowed to take over the running of the line. By then the railway was in a very sorry state with the one operable locomotive, in very poor condition, struggling to pull the trains along an overgrown and perilous track. But the TR is still very much the railway it always was, a rural byway where the pace of life is gentle, the average speed of the train is still less than nine miles per hour, and passengers can have an unhurried journey along the beautiful and unspoilt Fathew Valley. Both the original locomotives and all the original carriages remain in regular use to this day. We’d love you to come and travel on our railway. 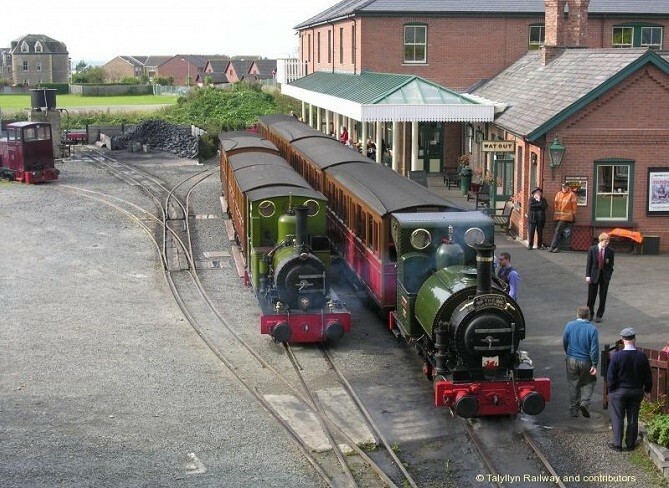 For another view of the Talyllyn Railway, why not visit Erik Ledbetter’s excellent Trainspotting in Wales web site describing his 1997 visit to the railways of Wales? 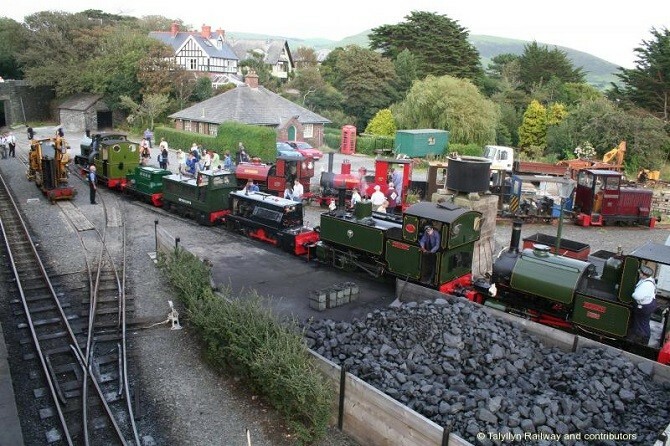 Emails Membership@talyllyn.co.uk for the TRPS Membership Secretaries. Secretary@talyllyn.co.uk for the Company Secretary.